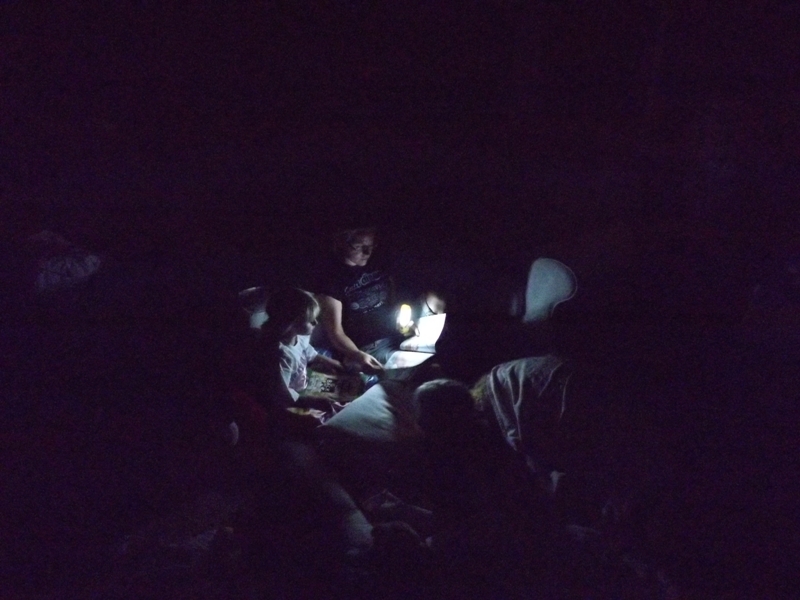 Recovering Working Mom: When it's dark outside . . .
. . . find out how prepared you are. Although Blackout 2011 happened several days ago, I didn’t have a chance to write about the Trifecta’s experiences, AND, family fun just ain’t happenin’ in the middle of the week – I had no idea how much homework 3 children can accumulate! As anyone in Southern California knows (except apparently my sister who lives in Los Angeles in a mayonnaise jar), last Thursday Orange County, San Diego and parts of Arizona and Mexico experienced the worst blackout in the region’s history. 1) If you husband is an engineer turned attorney, it is entirely possible that he is also a gadget whore. When the power went out and I texted my husband if there was any way to keep my computer running as long as the power was out, he said “of course, just pull out the green generator in the garage”. This thing looked like it was from 20,000 Leagues Under the Sea, and included jumper cables. I thought he must be nuts and thought I texted that I needed my car jumped. Nope, sure enough that thing had a plug on it that worked just fine to keep my computer and the parade moving forward. 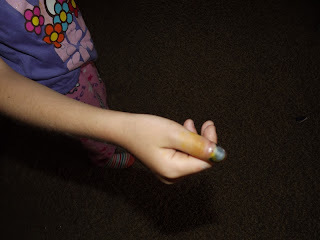 3) If your child happens to slam her thumb in the car door the day before the biggest blackout in history, be sure you can find some Ben-Gay. It provides the same cooling action as ice, and it will soothe their muscles too. Ok, just kidding, I didn’t give her Ben-Gay. But, I did endure a tremendous amount of whining because she couldn’t have ice. Do you know how hard it is to explain to a seven year old why mommy and daddy padlocked the freezer so the children couldn’t open it until the power came back on?! 4) And speaking of opening the refrigerator door. If you find that you MUST have something to eat for a very late lunch, be sure that in your haste to close the door, you grab the right thing out of the fridge. Otherwise, you may end up cracking a perfectly good egg on your counter and having to clean up the raw egg mess because you thought it was hard boiled! 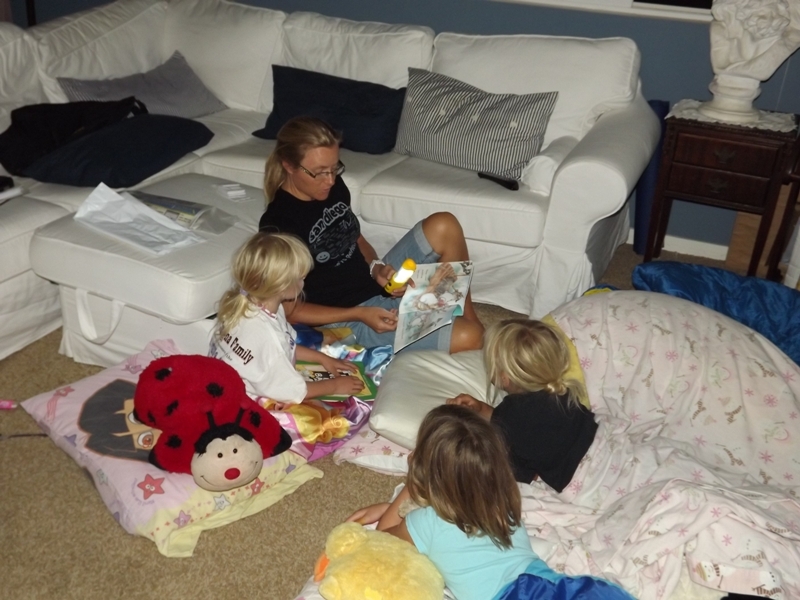 Reading to the girls. 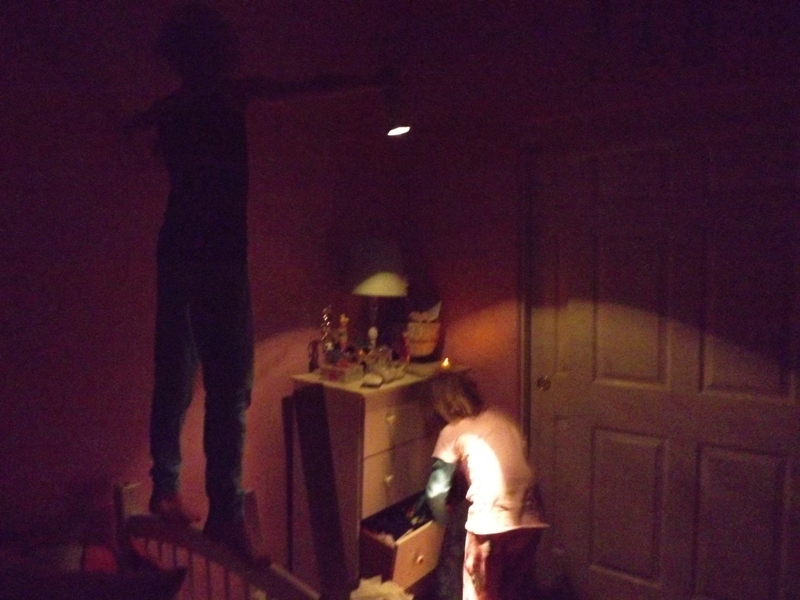 It's amazing what a flash can do!